Hello, Cascade Ultra Pima Fine. 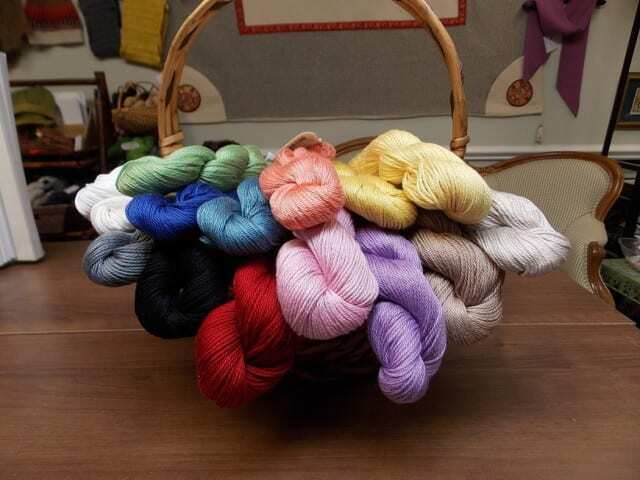 A new yarn has arrived at the Hillsborough Yarn Shop just in time for warm weather knitting and crochet! Meet Cascade Ultra Pima Fine. 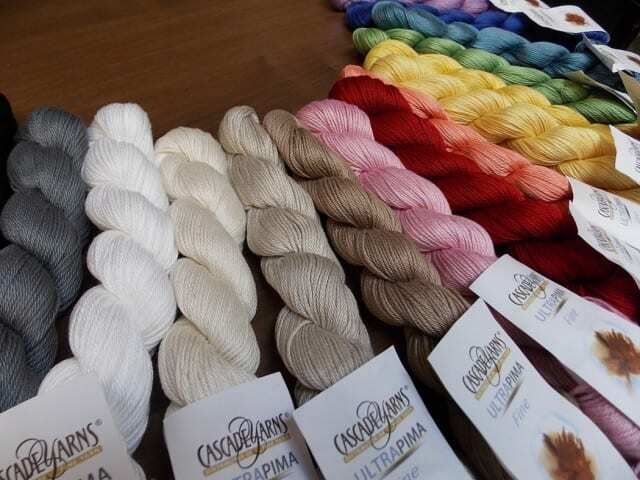 We’ve kept Cascade Ultra Pima in stock for a few years now, a lustrous, machine-washable, mercerized cotton in a wide range of saturated colors. Ultra Pima is DK weight, and fittingly, Ultra Pima Fine is a lighter weight version of the same good stuff. 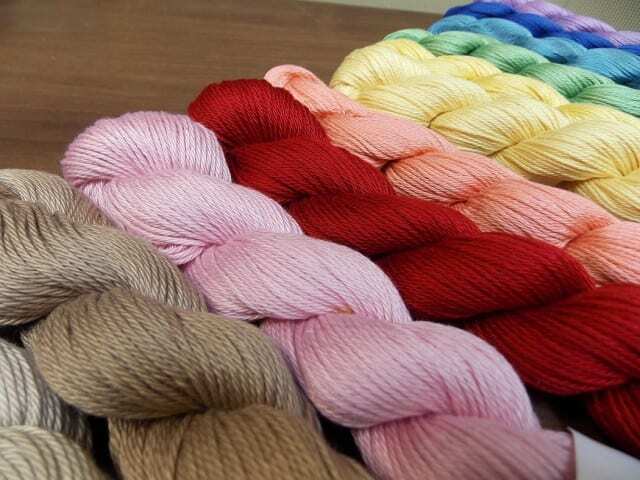 Each 50 gram skein of Ultra Pima Fine is about 136 yards long, and knits up at about 6 or 6.5 stitches per inch on a US #3 or #4 needle. 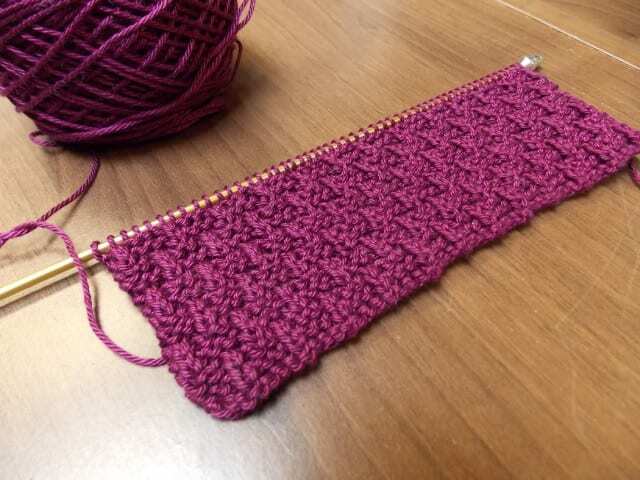 Anne has been knitting a washcloth with Ultra Pima Fine as a shop sample, and reports that it’s well-behaved on the needles, not splitting as some cotton yarns do. Washcloths aren’t all it’s good for, of course; easy-care cotton is a great fiber for knitting or crocheting baby and children’s things, warm weather garments for all ages, and market bags, to name a few. If you’re searching for Ultra Pima Fine patterns, start at the Cascade website, and from there, search Ravelry for sport weight patterns. Look for Cascade Ultra Pima Fine in the sport weight section here at the shop!